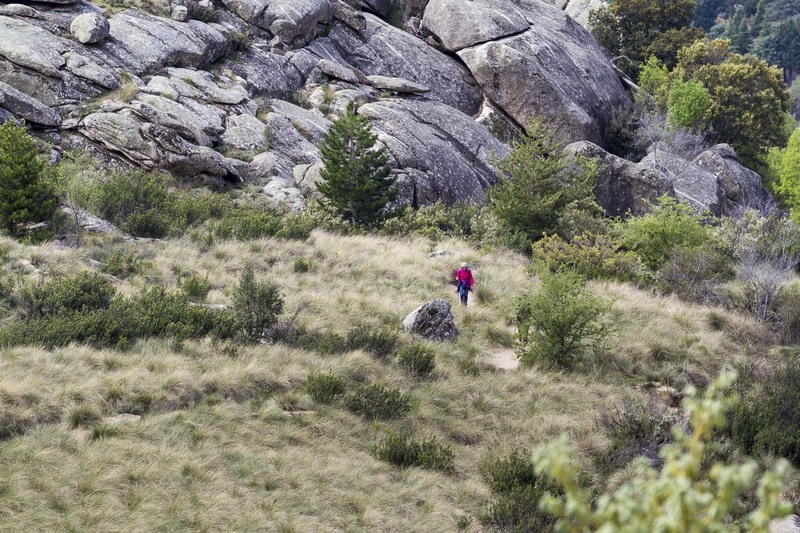 La Pedriza lies in the National Park Sierra de Guadarrama in Spain, just about an hour north of Madrid. Many would name it the “Joshua Tree of Spain”. 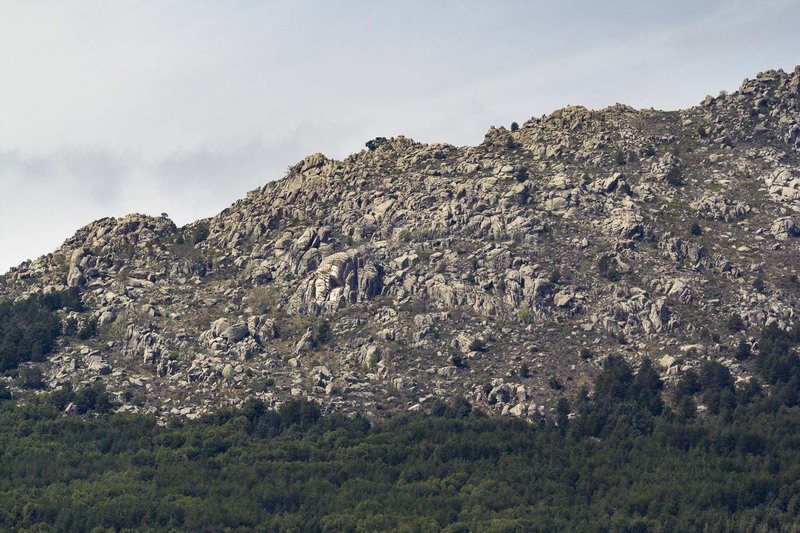 It is well known for it’s quantity (3200 ha) and quality of hard friction climbs and boulders in granite. 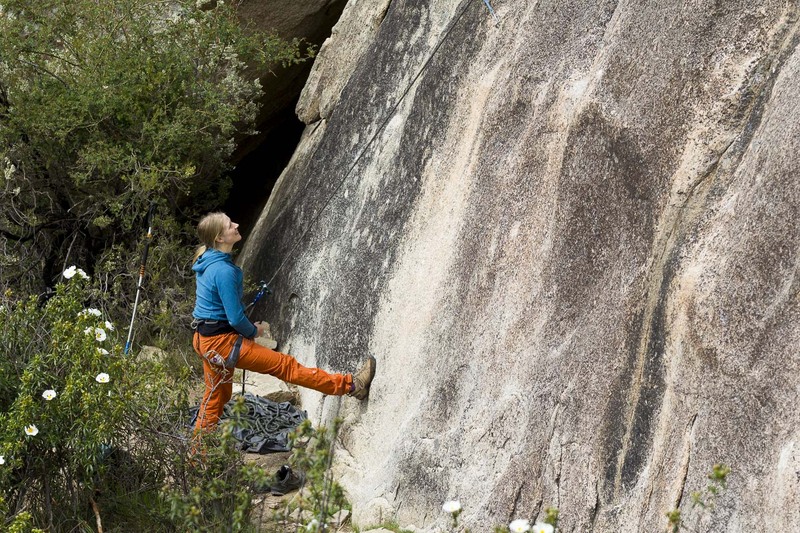 Stefanie from Climbingflex was in La Pedriza earlier this year. This is a guest post sharing her experience when she went there to climb. Thanks for sharing, Stefanie! I spent half a year in Madrid in 2008, and La Pedriza was the first climbing spot I checked out on my own. Although I went there quite often, it was nine years later when I found the real magic in it. Here I want to share with you what I think is both scary and extraordinary about La Pedriza and why I highly recommend you to climb there, too. Before sharing my three reasons, let me briefly explain the climbing style there and why I believe that it’s so different compared to many other climbing spots. 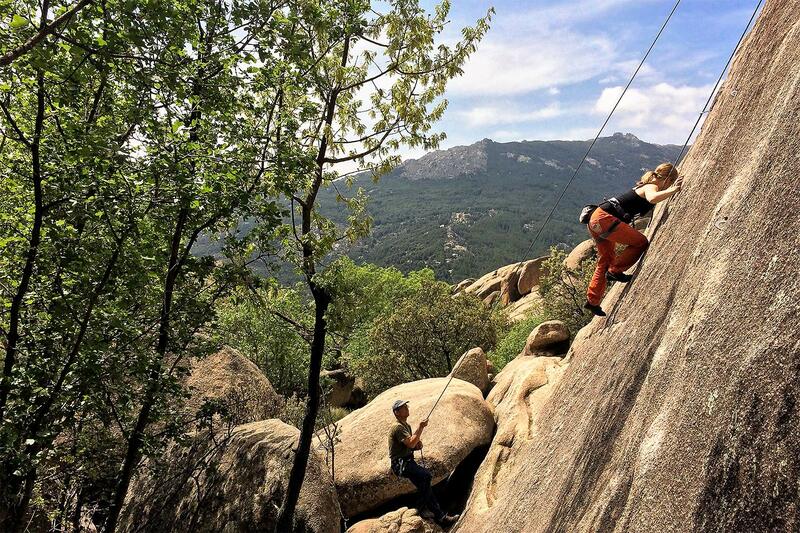 At La Pedriza, you’ll find 25 sectors and a huge variety of sports climbing, trad climbing, boulder problems. That’s immense! Even my friend Luis, a local climber from Madrid with over 25 years of climbing experience, doesn’t know all the sectors. The climbing style, however, is pretty similar at many sectors. It’s a mix of adherence climbing on granite, often declined, with little corns, and cracks, little edges. It’s not about strength. It’s about using your feet. I don’t know how you’re feeling right now when reading this. I guess I’d read it and say „okay, it’s not like climbing with the holes and footholds I love in Frankenjura, but sure, why not?“. When you’re about to climb, however, your thoughts and feelings will change in an instant! At the latest when you notice that there’s nothing to grab and that your feet slip away. And as if that isn’t enough, your head might go crazy when you see the bolt distances. Depending on which bolt distance you’re used to, you’ll think they are okay or just freaking crazy. Not all routes, by the way. The routes that have been opened a few years ago are different. In more traditional routes, however, finding bolt distances of 5 meters or more is nothing exceptional in the „easy“ part of adherence (remember, you still might not find any holds but only little corns). Do you feel like „yay, definitely something I want to climb! !“ or „never ever!“? If you’re wondering why you would want to go there let me share the three reasons why I believe that climbing at La Pedriza is a unique and memorable experience. When you arrive at La Pedriza by car or bus, you’ll see the sectors from far away already. The feeling when walking into the park, surrounded by thousands of boulders, forests, and bushes is hard to describe in words. Although you’ll find hikers and other climbers, the ambient is unique. It’s like entering a different world, slowing down time. Each time I go there, I feel balanced (until I climb my first route :-)), present and incredibly joyful. Even if you don’t climb all the time, I’m sure that you’ll love being in this gorgeous environment. I don’t know about you, but I just love the aspects Spain has to offer: the southern lifestyle, the climate, an open minded mentality, the Spanish tapas. The first time when I went to La Pedriza, I was on my own, not knowing anything about the sectors, where to climb and so on. I went there by bus, met some climbers, and we made friends. They took me to many sectors and invited me to enjoy some Churros before climbing, that’s a Spanish tradition I had to get used to first, now I just love it! That might happen in other climbing spots outside from Spain, too. In Frankenjura definitely not. I’m not judging here; the mentality is just different, and people are more used to climbing on their own in their group. Another point here is that it’s easy to get to the Pedriza by public transportation. So you can go there without having to rent a car, which I think is a big plus. And finally, I think the experience can be transformational if you sometimes struggle with controlling the inner game in your head when climbing. If you allow yourself to break through your limits, you’ll feel changed. But even if you usually don’t face any mental challenges, I think that La Pedriza is a delicate school for paying attention to your feet and using them properly. Many times, we focus more on our arm strength than on our feet. At La Pedriza, it’s vice versa. The hands help you balance. However, it’s all about your feet, finding your pace and not stopping. What I found most beautiful about the climbing once I recovered from my shock was the feeling of climbing consciously and being 100% present with my breath and each movement. At La Pedriza, you’ll find out that you can actually breathe away your fear and discomfort instead of holding your breath. This experience has helped me to use my breath much more effectively, learning that even the „worst“ holds can hold more than you think they could. The main season is in winter, early spring and late autumn, as it get’s very hot in summer. I have climbed there in August and September, too. Just make sure to select sectors in the shadow and climb in the early morning and/or evening. I think March and April are excellent, as you’ll enjoy the sun without sweating too much. In Madrid, buses towards the village Manzanares El Real leave from the station Plaza de Castilla (underground: line 10, in the Northern part of the city). In Manzanares, you’ll get out of the bus in the middle of the village. There, you’ll find a small tourist information and also a supermarket to buy water or food. Check out the timetable, so you know when to get back, especially in case you return to Madrid the same day. Be aware that from there, you’ll need that getting to El Tranco is 30 minutes walk, and another 30 minutes to Canto Cochino. Both are two main points with many sectors around them. Direction: Take the M-607, M609, and M-608 from Madrid towards Manzanares El Real, which is about 40 km away. You could stop at the village having a coffee or continue directly to La Pedriza. Continue until getting to the parking lot of El Tranco or Canto Cochino. When coming on Saturday and Sunday, be at Canto Cochino by 8:30 am, better 08:00 am. Many hikers arrive on the weekends, so once the parking lot is full, the administration closes the access, and you have to look for a different parking lot. 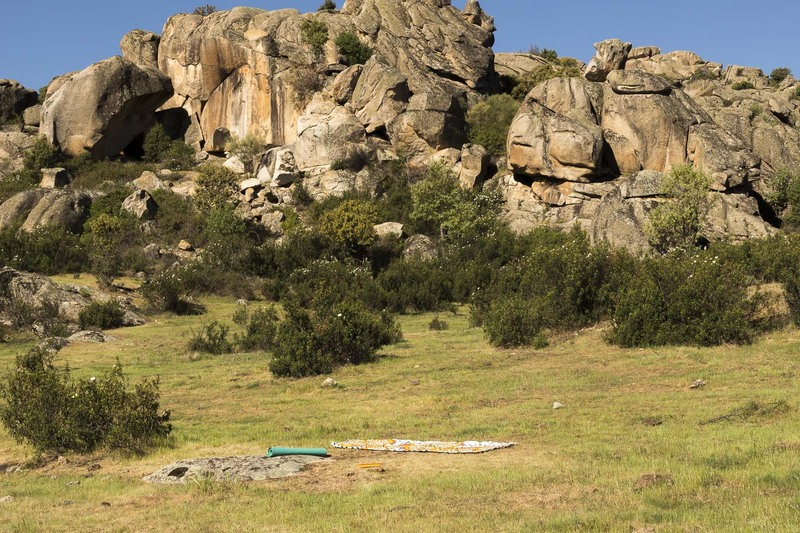 I have climbed in the sectors El Yelmo (the most noticeable rock you see when arriving at Manzanares), Colina Hueca, Cueva de La Mora, El Pajaro, Cancho de los Brezos, recently also Gusarapi and El Euro. Unless you don’t want to „shock“ yourself, I recommend you start at the sector Gusarapi. „Pedriza light“ I’d call it. It’s a sector that is “not that representative,“ as my friend Luis says. Representative or not, I think it’s the perfect sector to start, as you get used to some slabs but still having bigger footholds and holds to grab. The fourth day, I went to the sector El Euro, which was another shock that turned into power, once I noticed how to use my breath effectively. As the routes were long and gorgeous, I highly recommend you don’t miss that sector. Camping in the park is prohibited, bivouac is not. I slept at the Yelmo, Cueva de La Mora and more places I don’t remember. Be aware that there is no water up in the park (unless you want to drink the water from the river) and that taking the water and all the food beside all your climbing equipment can be difficult to handle, especially when traveling by public transportation and not with your car. There are Campings and hostals in Manzanares, which I think is definitely better than going back to Madrid the same day (unless you just want to climb one day). for sure: your equipment for belaying etc. headlamp! As the sunset is pretty quick and the area is huge, you might need more time to get back than you thought. a guide, or at least a map and the topos of the sectors where you want to go. Remember it’s easy to get lost, orientate yourself before going there. Most people are open and friendly. If you need some information or just want to connect with the locals, watch out for the climbers at the two snack bars at the parking lot of Canto Cochino. Visit climbing stores in Madrid, especially when you e.g. need more chalk and are looking for some information in advance. Climb in the morning, enjoy the bars in the afternoon/evening. If you like hiking, explore the park, e.g. 4 hours tour (marked): Start at Canto Cochino towards El Yelmo and Collado dehesilla, passing the Refugio Giner. From here, you return to Canto Cochino. 3 hours tour (marked): Start at Cacho de los muertos, pass the collide del carbon, charca verde, arrive at Canto Cochino. If you like a cultural and nightlife program, you can explore Madrid, and it’s sights. Segovia and Toledo are two beautiful villages that are close to Madrid and charming, too. 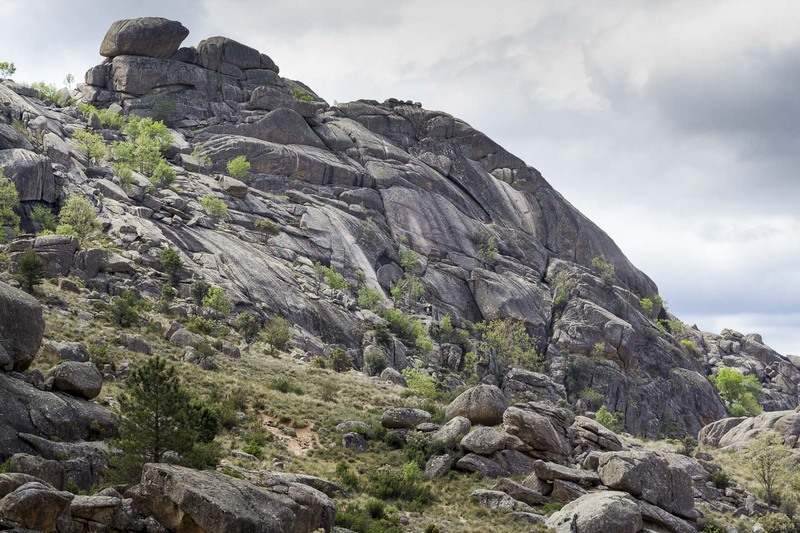 If you have a car and want to climb a different style using your arm strength finally again, visit Patones which is about 60 km away from Madrid. La Pedriza is a great place to remember the adherence of your climbing shoes and the control of your breath. Both works if you pay attention to it. It’s just so easy to forget about it! :-) I was surprised about the effect the climbing there has on your concentration once you overcome that fear. it sounds so exciting! But from the looks, I will probably feel exactly like how Stefanie did when she was there to climb! Thanks for dropping by!